Celtic Connection is Glasgow’s annual music festival, now in it’s 22nd year, and featuring the best of Scottish music talent. It is now the largest winter music festival in the drawing artists, and audiences, from around the globe. The lineup of artists is enormous, from Kris Kristofferson headlining The Roaming Roots Revue, to The Chieftains, Rickie Lee Jones, Eddi Reader to the great reception for the Scottish debut of Songs of Seperation, the ten women collective featuring New York based Scot, Hannah Read. With over 2000 artists performing at the festival in over 300 concerts there really is something for everyone and for all tastes. Primarily folk, roots and world music, the festival is a cross-pollination of artists from different countries and musical genres. There are wonderful concerts for over two weeks at such venues as The Glasgow Royal Concert Hall, the The Old Fruitmarket, Òran Mór to name but a few. 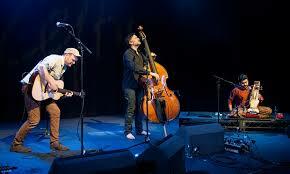 James Yorkston is one of the most respected and innovative members of the Scottish folk scene,. He has played a huge part in development of musicians such as KT Tunstall, King Creosote and The Pictish Trail. The performance at Celtic Connections showed his continued ability to innovate, engage and evolve. Youngston was joined by New Delhi based musician Suhail Yusuf Khan and expert double bass player Jon Thorne. 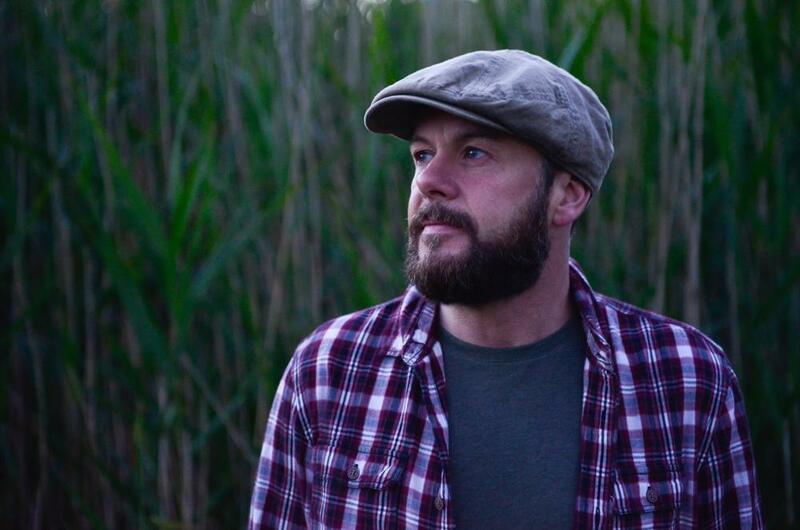 As part of a special broadcast for Celtic Music Radio Scottish singer-songwriter Alan Frew performed a captivating set which had the audience spellbound. Playing tracks from his debut album Go Easy, he combined talented guitar playing with beautiful, haunting vocals. Alan was a joy to listen to performing fan favourites Mary Go and Denise is Gone. The Roddy Hart curated musical feast is one of the major highlights of the festival with a different theme each year, with talent drawn from across the globe. This year the theme was of the Troubadour – the wandering music maker and minstrel – and the supporting cast brought together a cross section of the best presented at Celtic Connections. 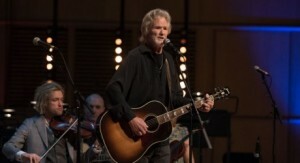 International star Kris Kristofferson topped the bill of talent including Justin Currie, Blue Rose Code, Honeyblood and Frazey Ford . A fantastic evening. This brilliant project involves some of the very best female folk artists in the UK coming together for a collaborative initiative and meeting of minds, cultures and hearts. The artists were brought together to write and record original material drawing on the theme of separation; between communities, countries and loved ones. This project is truly something unique and their performance at Celtic Connections was their Scottish debut. It’s hard to describe just how wonderful this concert was but I can safely say it’s one of the most special experiences I’ve ever had. Songs of Separation album is released on January 29th, don’t miss it. A major triumph of talents, skill from some of the finest musicians Britain has produced – Eliza Carthy, Hannah Read, Hannah James, Hazel Askew, Jenn Butterworth, Jenny Hill, Karine Polwart, Kate Young, Mary Macmaster and Rowan Rheingans. 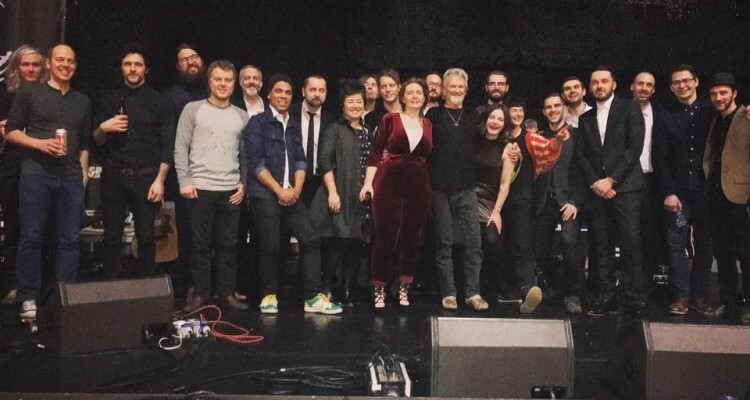 There are so many fantastic gigs at Celtic Connections featuring so many brilliant talents that it’s quite impossible to even get to a fraction of the concerts I’d like to. Sometimes the unexpected gigs I find myself at can be some amongst the most memorable of concerts. The Festiva lClub and Late Night Sessions see brilliant talent popping up in venues across the city with the music going into the wee small hours. Hope to see you at Celtic Connections next year! 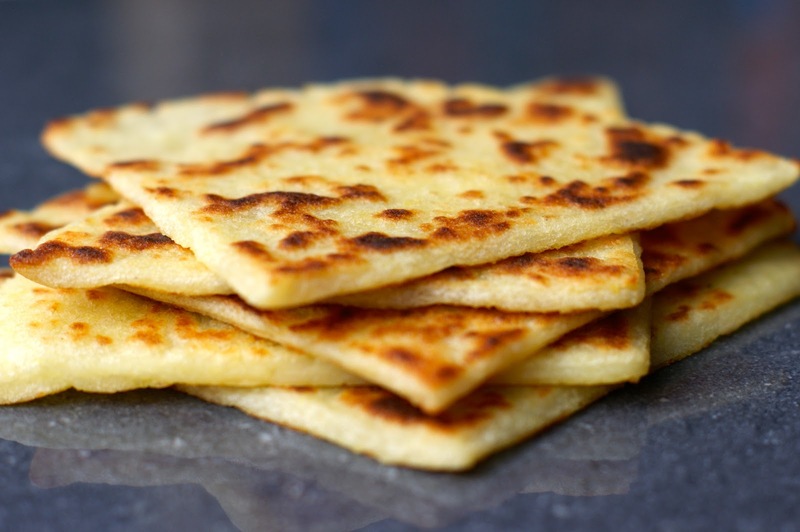 For ex-pats missing traditional Scottish fare, or for Americans wishing to give the cuisine a try, it can be difficult to recreate Scottish recipes with only American ingredients. But hae nae fear! The American-Scottish Foundation has written up a three- part guide to cooking up Scottish eats- even here in the USA. 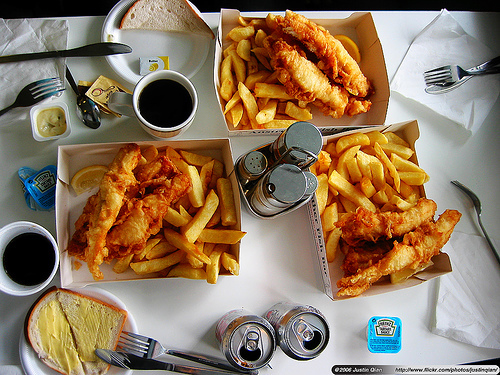 Scotland is famous for its fish and chips. From gourmet restaurants to the local corner store, there are countless places to pick up a quick “Chippy” throughout the country. 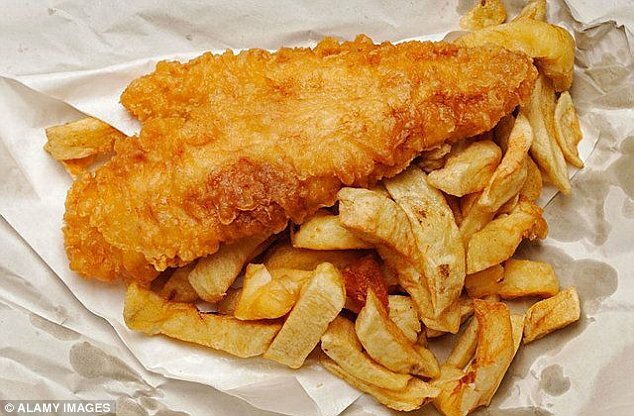 Although there are restaurants in the United States that try to recreate the famous British dish, few can come close to the kind of fish and chips you’d encounter at a sea-side shop in Scotland. 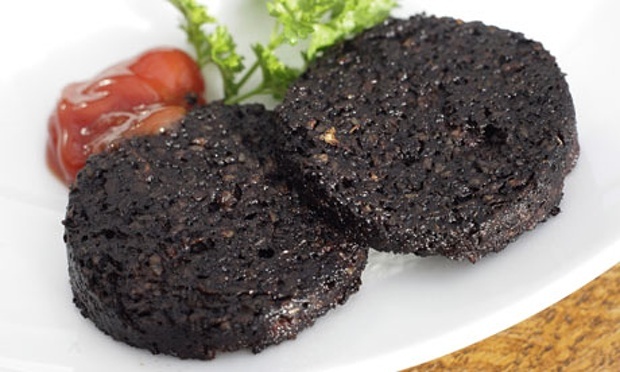 The American-Scottish Foundation has collected recipes for you to try at home, so you can fry up your own Scottish lunch. Just remember before you serve up your “Chippy” that newspaper wrapping is essential! Many delicious fish fries use a beer-batter technique, in which thin filets are deep-fried in a tasty batter with a beer base. Try your hand at this simple recipe for Beer-Battered fish from rampantscotland.com. Oil with a high smoke point, such as groundnut oil, canola oil, or sunflower oil. One cup of all purpose flour. ½ pint of beer or lager. Extra flour to dust the fish. 1. Heat the oil and prepare the batter ingredients for mixing. Microwave the fish, flipping it while it heats, so the inside is hot. Microwave until the fish is hot and looks half-cooked. 2. Mix the flour, egg white, and beer. Pat a fish dry with a paper towel, then lightly dust it with flour, making it truly dry. Dip the fish, and your hand, into the batter, coating them well. (The batter will help protect your hand from splatter.) Hold the fish above the oil and gently slide it in. Use tongs to nudge the fish as needed, keeping it from sticking to the bottom. Turn the fish over as it cooks. 3. Remove the fish when it looks nicely crisped. It is ready to serve with a bit of lemon juice. No fish fry is complete without a hearty helping of Scottish chips! Use this recipe, from food.com, to make your own chips, so different from American french-fries! 2lbs of “old” potatoes, peeled and cut into thick sticks. 1. Take your potatoes (which are peeled and cut into sticks about 1cm thick and 8cm long) and soak them in cold water, removing excess starch before frying. Drain and dry. 2. Heat oil or deep fat in a chip pan. Put a layer of potatoes in the bottom of a wire basket and lower into pan. 3. Fry until the chips are pale golden. Remove them from the pan and drain on soft kitchen paper. Repeat until all potatoes are fried. 4. Just before you serve, re-heat the oil and fry all the chips until they are very crisp and golden. Serve with your battered fish, adding salt and vinegar to taste. Some chip-shops serve their fish and chips with a side of mushy peas. Allrecipes.com provides an easy recipe for this side-dish. 1 10 oz package of frozen green peas. 1 Boil a shallow pot of lightly salted water over medium-high heat. Add frozen peas, and cook for 3 minutes, until peas are tender. 2. Drain the peas and place them in a blender or large food processor. 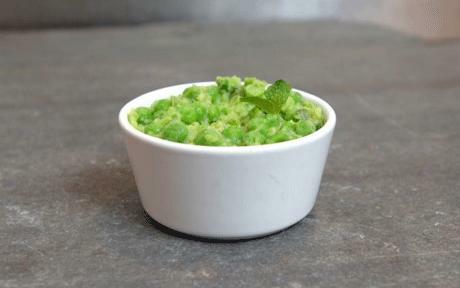 Add cream, butter, salt and pepper to peas, and process until blended, but still thick with small pieces of peas. Season to taste. For that extra Scottish flair, wrap your fish and chips up in newspaper before you serve them. Add a heaping helping of mushy peas on the side, and there you have it: a delicious, Scottish fishy-fry for lunch! This entry was posted in Food and Drink, News, Travel in Scotland and tagged Allrecipes.com, Beer-battered fish, Chips, Cooking, Fish, food.com, Mushy Peas, Rampantscotland.com, Recipes, Scottish food on January 23, 2016 by Theresa Schilling. ‘Rocks & Rivers’ is an exhibition of thirteen paintings on loan from the private collection of Asbjörn Lunde, New York. This collection presents extraordinary landscape paintings by Norwegian and Swiss artists such as Johan Christian Dahl, Alexandre Calame and Thomas Fearnley. 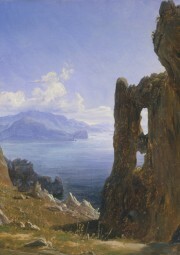 The paintings depict beautiful natural scenes from Scandinavia, Italy, Britain, and the Alps. The course will begin on Tuesday, 12th January 2016, at 10.15am-1.15pm. All materials will be supplied for the classes. Booking must be made in advance at the Information Desk of the Scottish National Gallery on the Mound, or by calling the Gallery at 0131 624 6560. Find out more about booking here. Visit the National Gallery website here. 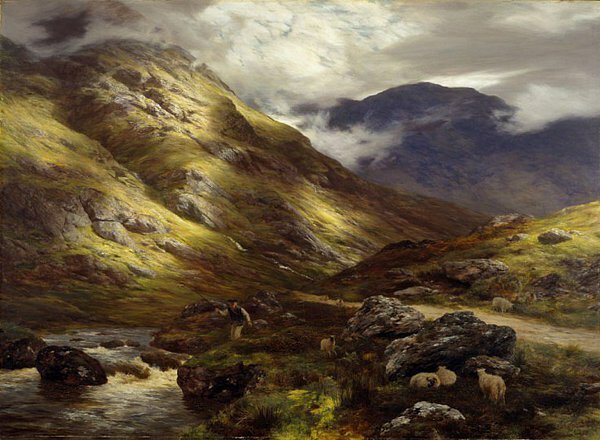 This entry was posted in Associate Events, News, Travel in Scotland, Uncategorized and tagged Alexandre Calame, David Forster, Johan Christian Dahl, Landscape paintings, Lunde Collection, National Galleries Scotland, Painting Course, Rocks & Rivers, Thomas Fearnley on January 23, 2016 by Theresa Schilling. 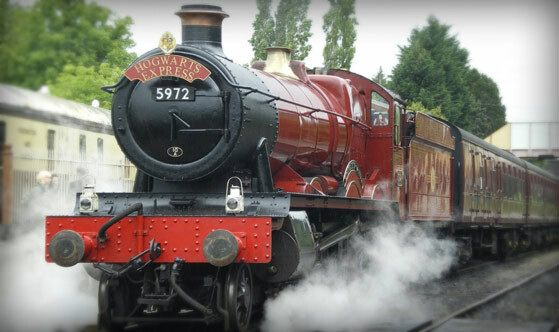 For a magical train-ride, jump on The West Highland Railway line! 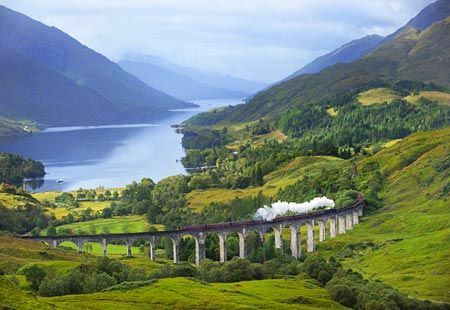 The West Highland railway line, which runs between Glasgow, Oban, Fort William and Mallaig, was made famous by the Harry Potter films. One stretch of the line, between Fort William and Mallaig, is featured in multiple Harry Potter films. The railway line, which was recently voted the world’s most scenic train journey, travels past some of Scotland’s finest lochs and mountains. According to official figures, it is now ScotRail’s fastest growing route. The trains were doubled on the line, boosting passenger numbers by about 14% in 2014-15. “The Friends of the West Highland Line” claim that it is now used more than at any other time since the 1950s. Along with Potter-fueled tourism, a new school service that transports pupils from Dalmally, Taynuilt and Connel to Oban has also helped increase passenger numbers. The students may not be travelling to “Hogwarts,” but with such beautiful scenery, their commute is definitely a magical one. ScotRail hopes to attract even more passengers in the coming years when it upgrades carriages into ‘scenic trains.’ These carriages will be equipped with seats specifically aligned to windows for better views, as well as tourist information and high-end catering on offer. Passengers can expect to see these improved seats in 2018. 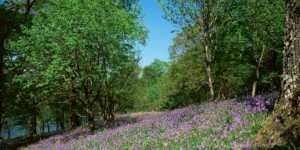 To find out more about the West Highland Railway Line visit the ScotRail website. This entry was posted in Associate Events, Business, News, Travel in Scotland, Uncategorized and tagged Connel, Dalmally, Harry Potter, Oban, ScotRail, Taynuilt, travel, West Highland Railway Line on January 9, 2016 by Theresa Schilling. 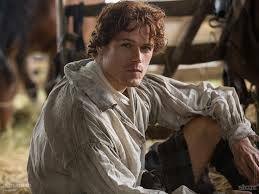 The rich history of brewing in Scotland goes back 5,000 years and is prevalent in Scottish culture. In fact, the ancient technique of using bittering herbs such as heather, myrtle, and broom in beer-making continued longer in Scotland than in other parts of the world. Today, Scotland’s brewing techniques are still notable. There are many well-established and up-and-coming breweries throughout the land, with large exports of unique craft beers. The American-Scottish Foundation has compiled a list of six bonny Scottish beers that you should give a taste. Loch Ness Brewery is located on the shores of Scotland’s largest and most famous loch. The loch water is the very source of the brewery’s award winning range of beers. HoppyNess, Loch Ness’ American style pale ale, is one of its very finest brews. The golden orange ale has a fruity and spicy aroma, with a sweet, yet malty taste infused with pine. The herbal hops provide just the right amount of bitterness, paired with a grapefruit tang. This sunny, citrusy beer is a refreshing, light pale ale perfect after a hike around the loch. Find out more here. 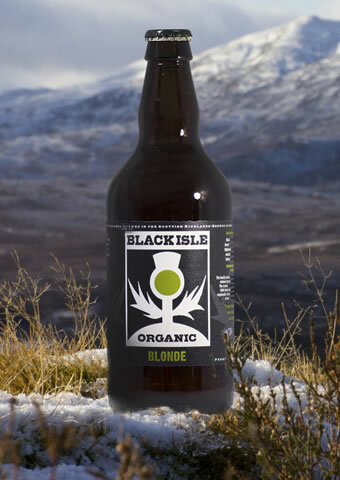 Black Isle Brewery is the UK’s premier organic brewery, making their beers exclusively with organic malt and hops grown on farms without chemicals. The brewery is based near Inverness, where the owners started off by brewing in a bucket in a shed in 1998. Their Organic Blonde is a light golden beer with hints of citrus and honey and a delicate hop bitterness. A full biscuity malt keeps the beer from being too fruity. Light, smooth, and extremely refreshing, this golden blonde ale always proves to be a crowd-pleaser. Find out more here. 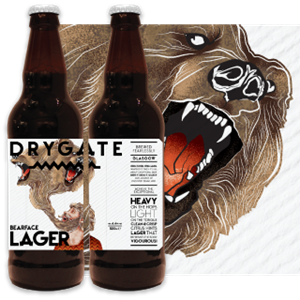 Drygate is a young Glasgow brewery which started in 2014, and since its birth has enjoyed considerable success. The new, hip brewery draws in a young crowd with its accessible brews and hipster-y label designs. The Bearface Lager is a favorite among Drygate drinkers. The pale lager is clean, crisp and citrusy with malt hops of calypso, amarillo and cascade. This citrus spiced lager is smooth and highly drinkable. The “Tennent’s” of craft beer, few drinkers would turn down a Bearface. Find out more here. 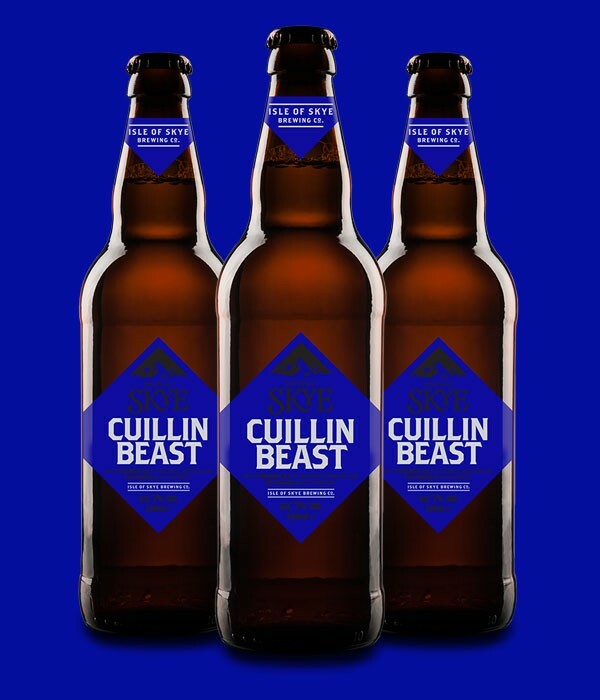 Cuillin Beast – Isle of Skye Brewing Co. The Isle of Sky Brewing Co. was formed one evening in 1992, when a few schoolteacher friends met in a pub and lamented the lack of good beer on Skye. Someone joked about setting up a brewery, and from that joke an award-winning brewing company was born. 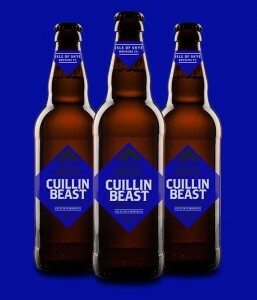 The Cuillin Beast is a pale, lightly sweet ale with traces of honey, caramel, cocoa and citrus. The beer is brewed with live Isle of Skye yeast and sweetened with organic Demerara sugar. Why is such a delicious beer named the Beast? Apparently, the foreman building the brewery asked if they made ‘beastie beer’. The old-fashioned beer currently brewing was so yeasty that the ale was alive with movement. Hence the Cuillin Beast was born. Find out more here. Black Wolf Brewery is a Stirling brewing company named after a legendary Scottish wolf. As this legend has it, many ages ago Viking invaders made to attack Stirling in the dead of night. A howling wolf alerted Stirling’s defenders, who were able to save their town. 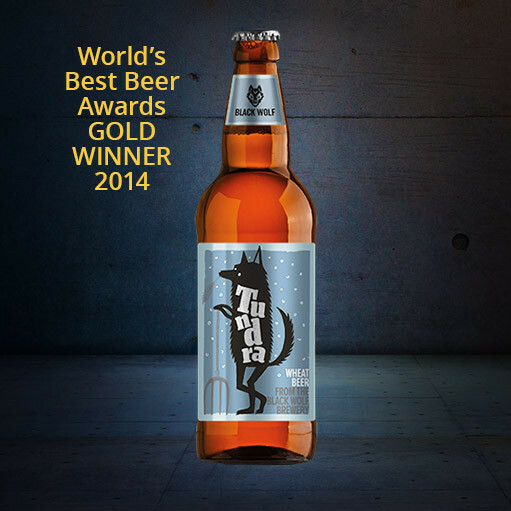 Tundra is light wheat ale dry-hopped with elderflowers for a fresh, citrus and floral flavour. 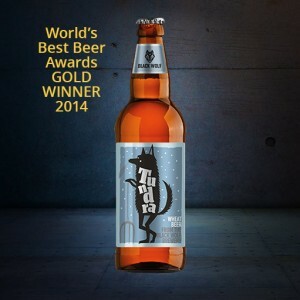 The beer was a Gold Medal Winner at the prestigious World Beer Awards in 2014. The refreshing brew would be at home at a summer garden party, but with a name like Tundra, it may be equally as welcome on a cold winter’s night. Find out more here. Kelpie Seaweed Ale – Williams Bros. Brewing Co. The Williams Bros. Brewing Co. started life in the humble ‘Glenbrew’ homebrew shop in Glasgow, and now has multiple breweries throughout scotland. Their Kelpie Seaweed Ale is a tribute to ancient Scottish brewing techniques. For one, the beer is a Scottish Gruit, which is an ale brewed with “ancient herbs.” Prior to the 1850’s, coastal alehouses in Scotland brewed with malted barley from fields fertilised by seaweed. 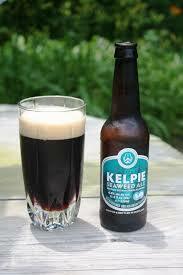 This gave the barley a very specific, sea-filled flavor which the Kelpie Seaweed Ale recreates. The dark chocolate ale is brewed with sweet barley and mixed with sea salt. Although the over-all taste is rich with hints of caramel and roasted cocoa, the lightly salty finish will transport you right to the sea-side. Find out more here. This entry was posted in Associate Events, Business, Travel in Scotland, Uncategorized and tagged Bearface Lager, Black Isle Brewery, Black Wolf Brewery, Cuillin Beast, Drygate Brewery, HoppyNess, Isle of Skye Brewing Co., Kelpie Seaweed Ale, Loch Ness Brewery, Organic Blonde, Tundra, Williams Bros. Brewing Co. on January 7, 2016 by Theresa Schilling. 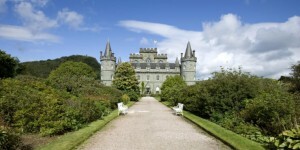 VisitScotland, a partner organization of The American-Scottish Foundation, has provided a set of travel itineraries coinciding with Scotland’s famous tourist routes. Scotland has twelve famous tourist routes that lend to many new discoveries for travellers. The routes include coastal trails such as the Angus Coastal Route and the Fife Coastal Route, explorations of the Borders through the Borders Historic Route, and travels through the Highlands via the Highlands Tourist Route and the North & West Highlands Route. Scotland’s diverse landscape, remote towns and hidden villages are all waiting to be explored. The detailed itineraries provided by VisitScotland are filled with activities to entertain and excite you as you travel through Scotland’s tourist routes. These itineraries vary in length and theme. They map out activities for visits lasting anywhere between two to fourteen days. The themes span Robert Burns, Scottish heroes, famous castles, and public transport. An example of one itinerary celebrates ‘2016, the Year of Innovation, Architecture and Design’ in Scotland, planning out four days in Glasgow, Ayrshire and Arran, Dumfries & Galloway, and Argyll. 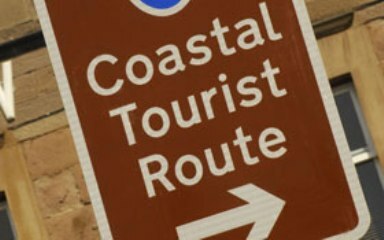 The travel plans take you through museums, gardens, castles and more. 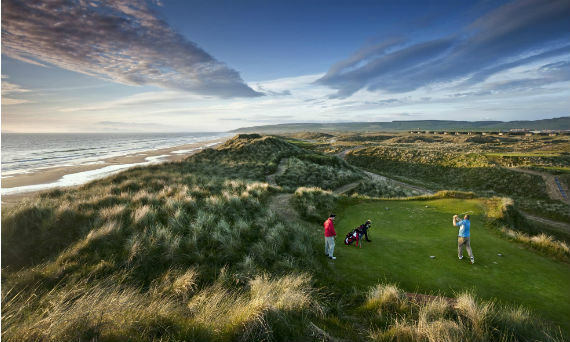 Another itinerary, called “Scotland, the Home of Golf,” maps out a fourteen-day travel plan revolving around golfing throughout Scotland. This travel plan will have you swinging clubs in St Andrews, Aberdeen, Ayrshire and more. 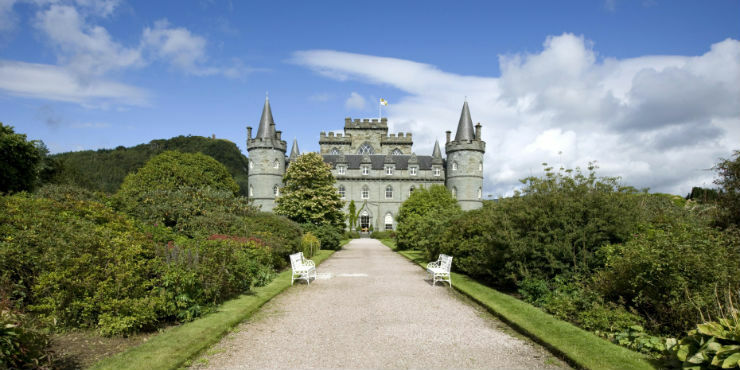 To read more about these travel guides, or find help planning out your vacation, head to this link from VisitScotland and find the itinerary that’s right for you. This entry was posted in ASF Events, Associate Events, Business, Travel in Scotland, Uncategorized and tagged Aberdeen, Argyll, Arran, Ayrshire, Dumfries, Galloway, Glasgow, Golf, Highlands, St. Andrews, VisitScotland on January 7, 2016 by Theresa Schilling. 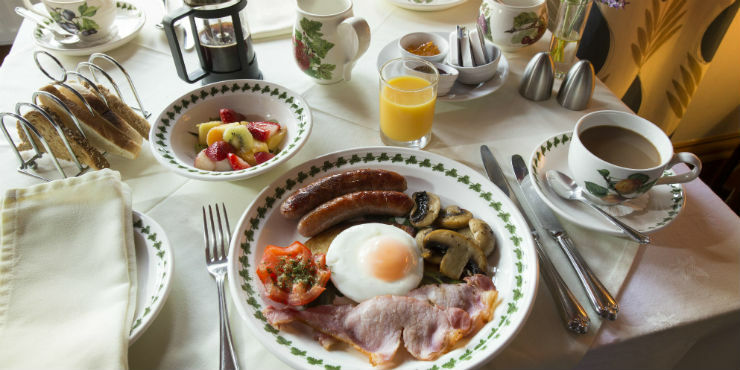 If you travel in Scotland, you’re likely to encounter a “Full Scottish Breakfast” somewhere along the way, whether at a cozy pub, a grand hotel or a tiny B & B. The Scots’ classic “full” breakfast is sure to leave you feeling just that. Here is a guide to making your own. A hot, strong pot of breakfast blend tea. A small bowl of plain yogurt, with fruit and muesli toppings. Preheat oven to 350°F. Grease 2 large baking sheets. Place oats in large bowl and sift flour, sugar, baking soda and salt in. Use your fingers to rub in shortening until the mixture is a coarse meal. Add buttermilk and stir into a dough. Transfer dough to floured surface and roll it out to 1/4-inch thickness. Using 2 1/2-inch round cookie cutter, cut out rounds, and arrange with space on the baking sheets. 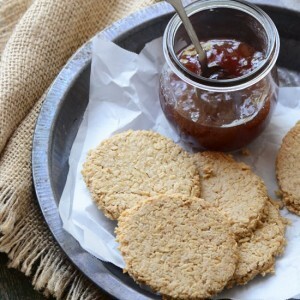 Bake oatcakes until edges are pale golden (Around 12 minutes.) Let cool for 5 minutes. A selection of cereals. A Scottish favourite is Weetabix, which thankfully is widely available in US grocery stores today! 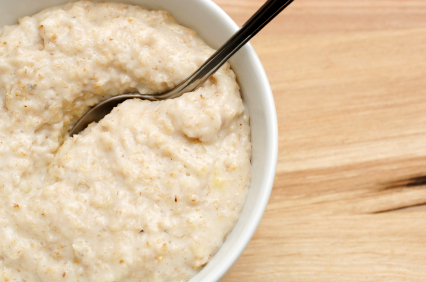 A steaming bowl of porridge. Rather than using instant quaker oats, cook your oats the old-fashioned way, on the stove with milk, butter, and sugar. Plenty of fresh toast, cut up and buttered to perfection. Half of a tomato, broiled. A strip of bacon. In the UK, bacon is closer to a thin slice of ham, so substitute as you wish! Mash potatoes, mixing in the salt, butter and flour. Place on floured surface, knead lightly and roll out to a thickness of 1cm. Cut into triangles and cook on a hot, greased griddle for about 5 minutes on each side. Sautéed mushrooms. Easily pan-fry with a bit of butter, salt and pepper. Baked beans- From a can is fine! One egg. Scrambled, poached, over-easy- that’s up to you! Preheat the oven to 325°F and grease 2 glass loaf pans. (Metal will not work, unless well-lined with parchment.) Stir 1 teaspoon of salt into the blood. Boil 2 1/2 cups water and stir in the oats. Bring down to a simmer and stir occasionally for 15 minutes, until soft but not mushy. Pour the blood through a fine sieve into a large bowl, removing any lumps. Stir in the fat, onion, milk, pepper, allspice and remaining salt. Add the oatmeal and thoroughly mix. Divide the mixture into the pans, cover with foil, and bake for an hour, until firm. Let cool. To serve, cut a half-inch slice off the loaf and fry in butter or oil until the edges are slightly browned. There you have it- a “Full Scottish Breakfast!” Aren’t you stuffed just thinking about it? This entry was posted in Travel in Scotland, Uncategorized and tagged Baking, Bangers, BBCGoodFood.com, Black Pudding, Cooking, Epicurious.com, Full Scottish Breakfast, Oatcakes, Porridge, Recipes, Scottish recipes, Tattie Scones, Weetabix on January 7, 2016 by Theresa Schilling. ASF Members and Friends can enjoy special ticket pricing for ‘Circus Now: International Contemporary Circus Exposure 2016’ at NYU Skirball Center (566 LaGuardia Place). Order tickets by going online and entering the code, or by calling 888.611.8183 and mentioning the code. You can also bring a printout of this offer to the NYU Skirball Center Shagan Box Office – 566 LaGuardia Place at Washington. 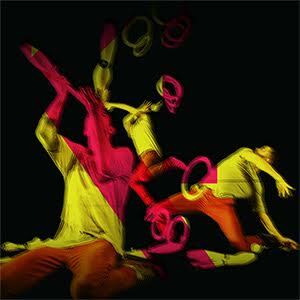 Find out more about the different ‘Circus Now’ shows which the ASF discount applies for on NYUSkirball.org. This entry was posted in Associate Events, News, Uncategorized and tagged Circus Now, Discount tickets, International Contemporary Circus Exposure 2016, NYU Skirball Center, Special Offer on January 7, 2016 by Theresa Schilling.